Jelco Tonearm Cables (with a Straight or Angle DIN connector) are available with either economy or high performance in mind. For best results, we recommend the Audio Sensibility Impact SE OCC copper tonearm cables. In addition to the Audio Sensibility OCC copper tonearm cables, we also offer OCC silver tonearm cables for the very best performance. Audio Sensibility tonearm cables are available in stock lengths of 1.2m and 2.0m, with longer lengths available as a custom order. We also stock the complete line of Jelco JAC-50x tonearm cables. 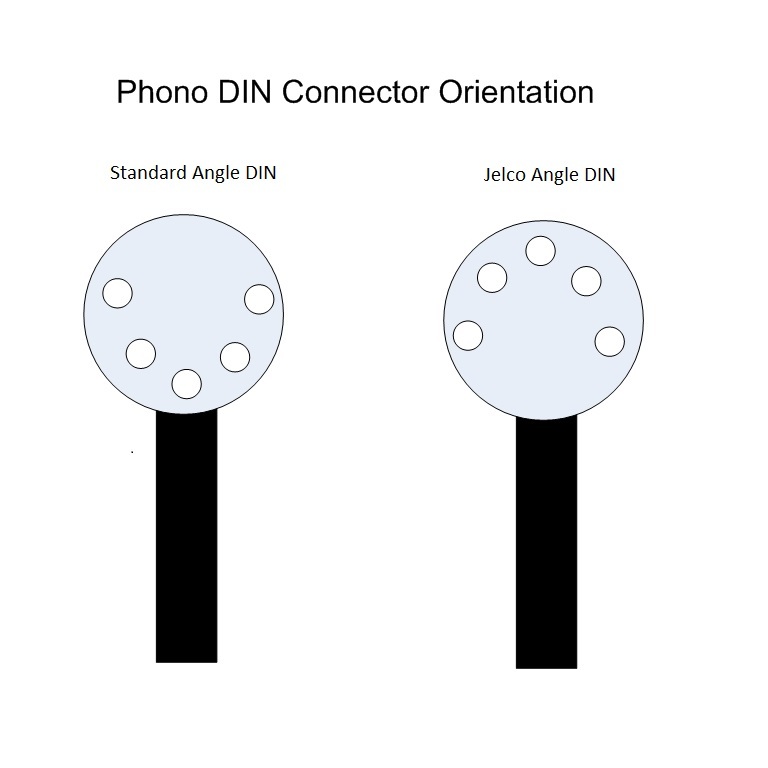 The Jelco Angle DIN connector used on Jelco tonearm cables has a different pin orientation (180 degrees out of phase) compared to a Standard Angle DIN connector. 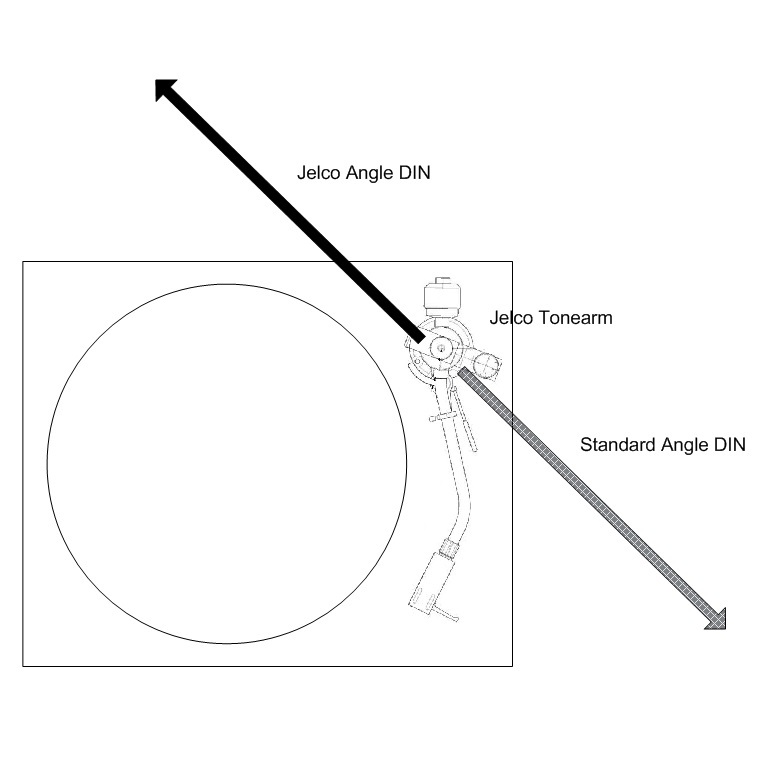 A tonearm cable using a Jelco Angle DIN connector orientation will exit towards the back of the turntable, North-West direction. A tonearm cable using a Standard Angle DIN connector orientation will exit towards the front of the turntable, South-East direction.